As we slowly work through upgrading our house, one of the last rooms we're remodeling is our kitchen. It's not that we don't want or need to remodel this room, it's that this room is one of the most expensive to update which is why it's important to take advantage of sales events as they happen, like the Best Buy Appliances Remodeling Sales Event. For a limited time, you can save 5%-30% off major appliance top deals, including free installation on select appliances. Right now Best Buy is making it easy for you to stretch your remodeling dollars by offering the best deals during the season on GE appliances. Not only can you receive up to 30% off major appliance top deals, you can get a $100 gift card when you purchase two major appliances totaling $1500 or more. Now's the time to save big on top brands and deals. Get all the details and disclosures about the $100 gift card here. 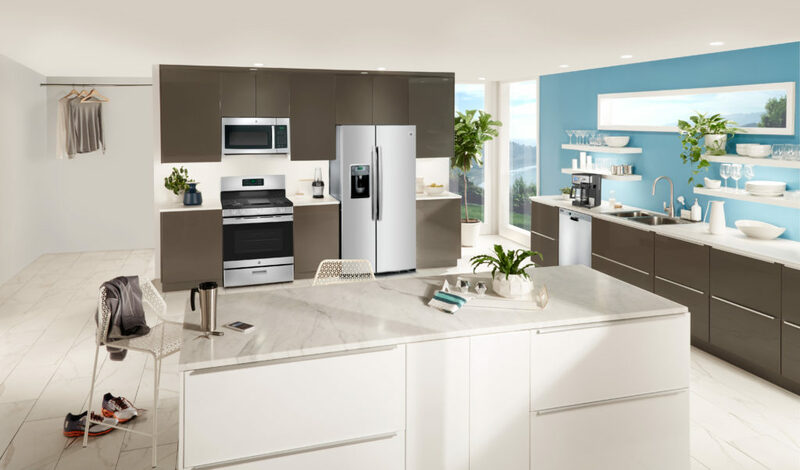 In addition to Best Buy's Appliances Remodeling Event, GE Appliances makes it easy when you’re upgrading your kitchen at Best Buy during the Great American Kitchen Event now through April 26. 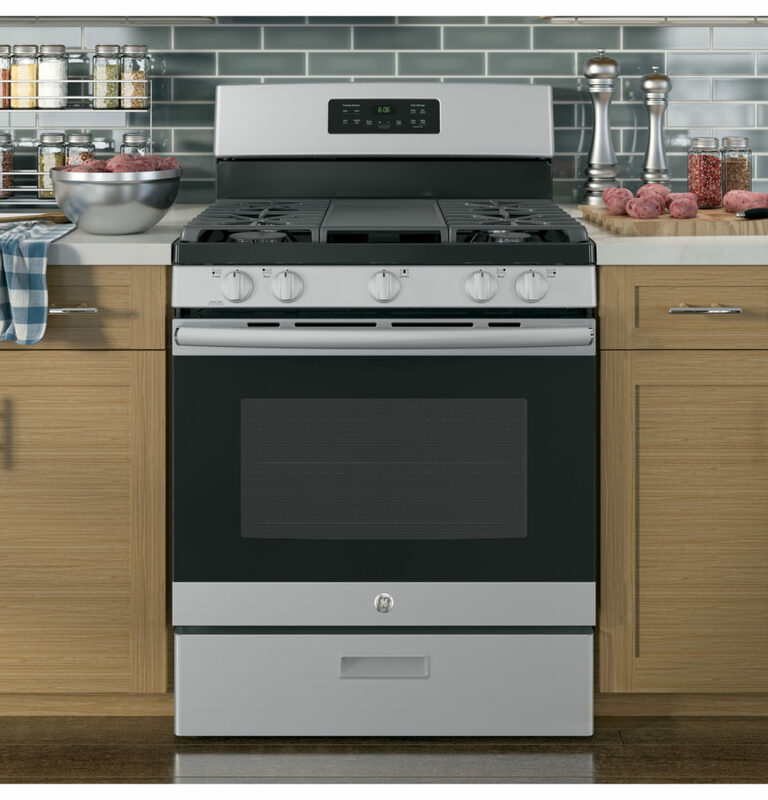 Best of all, you can receive free installation on all GE appliance wall ovens 4/5-4/29 (BBY Exclusive). Two of our favorite GE Appliances are the GE Profile™ Series 30″ Built-In Single Convection Wall Oven and this GE Refrigerator. The GE Profile™ Series 30″ Built-In Single Convection Wall Oven features True European Convection with Direct Air. This oven bakes evenly as warm air blows from the top in and around bakeware· With a huge capacity, 5.0 cu. ft. oven capacity, you can cook more dishes at once. Like many of the GE Appliance wall ovens, this one is also Made In America with 70 to 90% U.S. content. 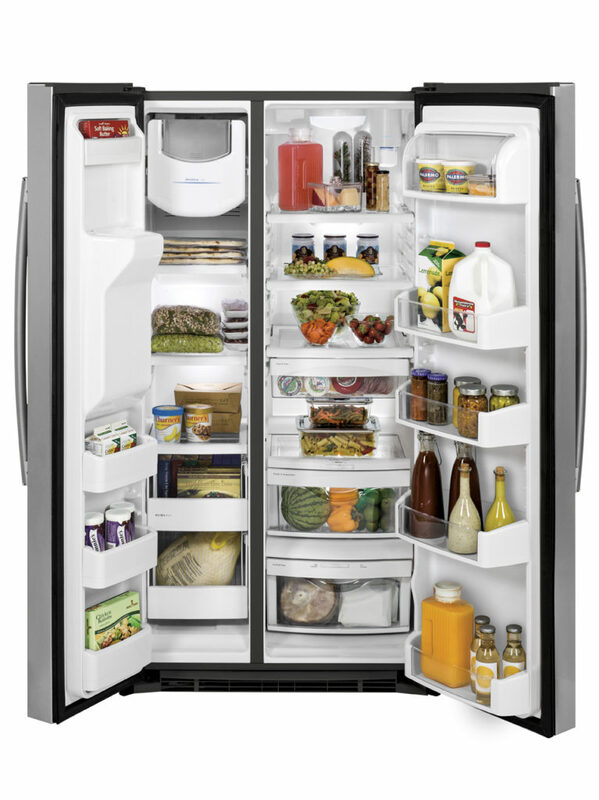 While this GE Refrigerator with adjustable clear door bins allow you to customize your storage options helping you organize your fresh and frozen foods in this side-by-side refrigerator that features slide-out and spill-proof glass shelves. This unit comes with a stainless steel finish and is American made. So what are you waiting for? Join us during this amazing Best Buy's Appliances Remodeling Sales Event and save on your favorite major appliances.